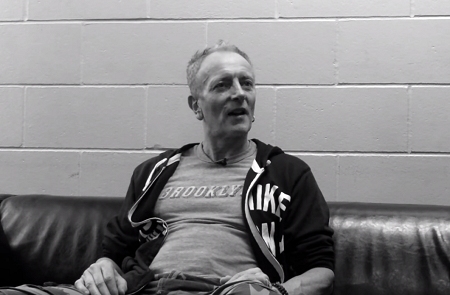 Def Leppard guitarist Phil Collen was interviewed yesterday by Buffalo, NY radio and mentioned his work with Tesla. He talked more about his work on the next Tesla studio album. Listen to the full 9 minute interview via the radio link. "I've been producing their latest album. Or their next album that's coming out next year. But I've also done the last single. Just got released like a couple of weeks ago. So that's out - Save That Goodness. That's actually out and it's being played on the radio." "They had a couple of days off because Jeff Keith's voice was, he'd lost his voice for a couple of days. But he's all back to good now. But yeah we've been really busy. Yeah non stop. It sounds great though. Everyone's really excited about it, including me. It really sounds amazing." "Well it sounds like Tesla which is a great thing. It's just got a different edge to it. You know I always thought that their influences are so varied. You talk to all the individual members of the band. It goes from anything to The Beatles, Queen to the Rolling Stones or The Allman Brothers." "It's quite a blend and what we've tried to do on this album is actually get all those really prominent influences and make them stick out and show where they actually come from. And that's been working amazing. Like everyone's really inspired about it." "So yeah no that's really it. It sounds very much like Tesla but you can hear where all the influences come from. It's great."